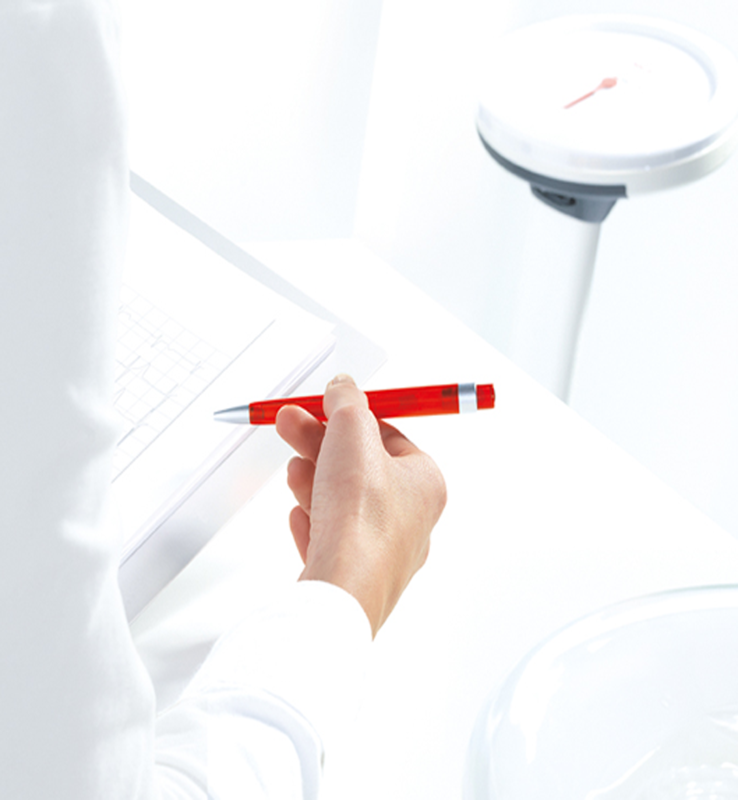 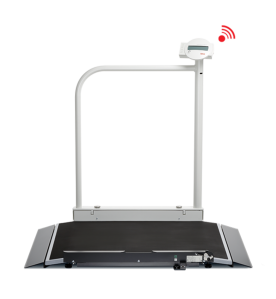 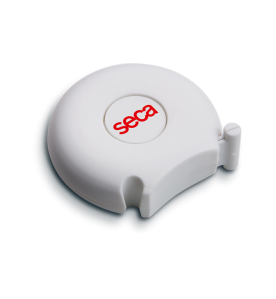 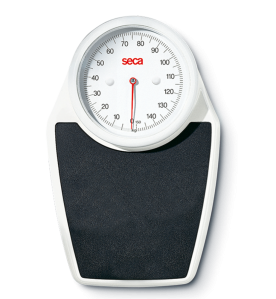 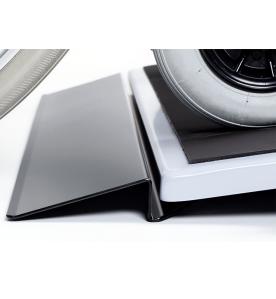 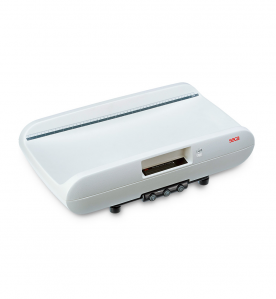 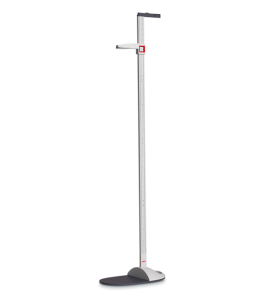 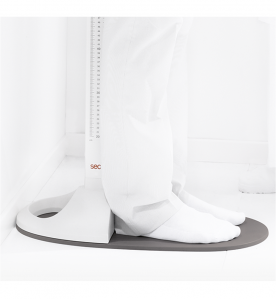 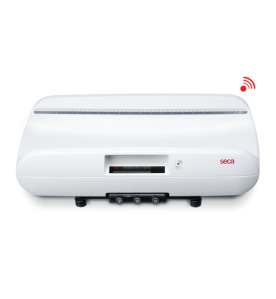 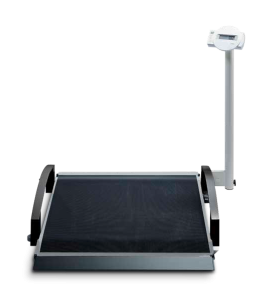 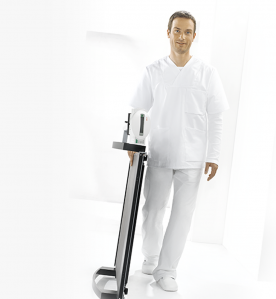 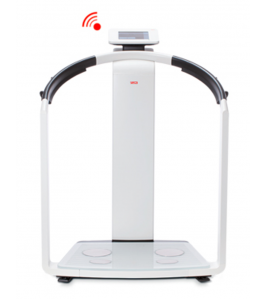 The seca 755 is one of the first mechanical column scales which displays weight and the nutritional condition of the patient with the BMI function. 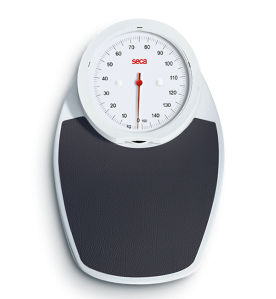 When the patient steps onto the scales, a BMI disc of contrasting color is set in motion below the very precise weight display on the large, clear dial. 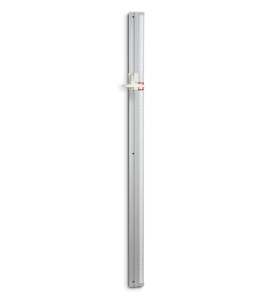 It is visible in a small window next to which a height scale is printed. 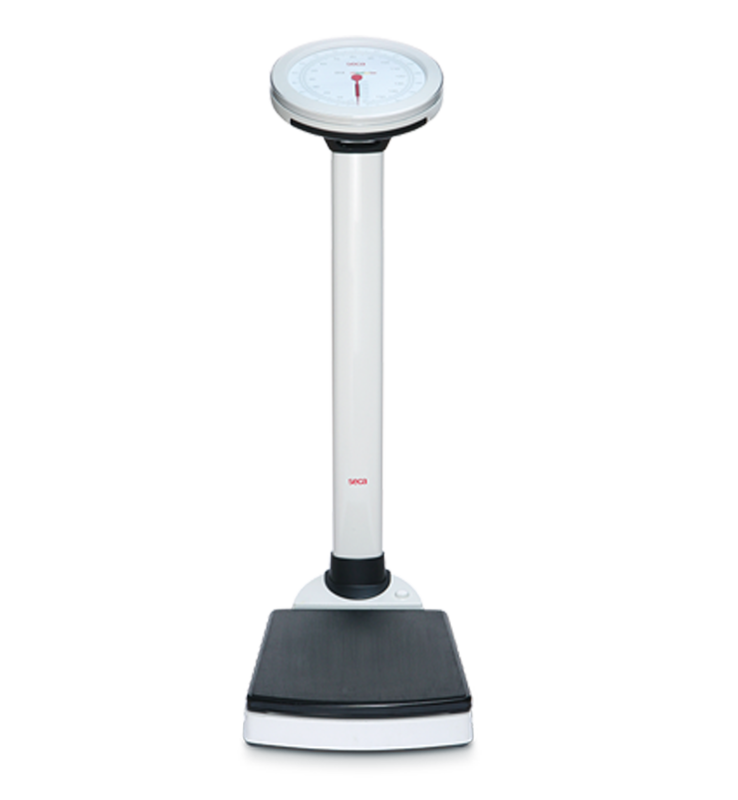 Once the weight has been determined, it is easy to read the BMI range which, with contrasting colors, is split up into underweight, normal, overweight and obesity (abnormally overweight). 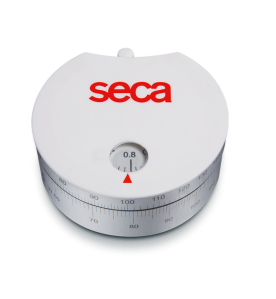 A flat tread area and practical transport castors are further advantages of the seca 755. 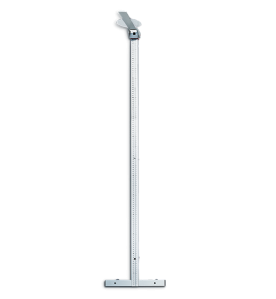 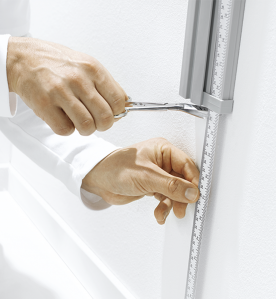 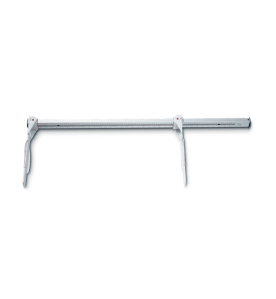 The column scale is also available with measuring rod.